We'll take a look at news around the Local and remember, tomorrow is another election day, with local races and the State Superintendent of Education primary. Get out and vote! Make yours a voice for labor and make that voice heard. President William Howard Taft signed the bill that created the Department of Labor on his last day in office in 1913. After nearly half a century of pressure from Labor groups to get a voice in the cabinet, they finally had one. Was the Department to focus on business owners? CEOs?
" In the words of the organic act, the Department's purpose is 'to foster, promote and develop the welfare of working people, to improve their working conditions, and to enhance their opportunities for profitable employment.'" In other words, the Labor Department was created with the express purpose of helping those who work for a living. President Wilson understood this and appointed William B. Wilson, one of the founders of the United Mine Worker's Union as the first Secretary of Labor. "Reversing years of federal opposition to organized labor, the statute guaranteed the right of employees to organize, form unions, and bargain collectively with their employers.... The act also created a new National Labor Relations Board (NLRB) to arbitrate deadlocked labor-management disputes, guarantee democratic union elections, and penalize unfair labor practices by employers." After the NLRA was signed into law in 1937, and employers no longer had the ability to fire workers for trying to join a union, Union Membership surged. As mentioned above, a Board was created as part of the act to " give teeth" to the new right to collectively bargain and ensuring that both Labor and Management follow the law. There are five members appointed to the board, each with a five year term. Unions during World War II had agreed to wage freezes and limited strikes as part of their concession to the war effort. Once the war was over, however, Unions rightfully wanted their share of peacetime prosperity. A wave of general strikes in 1947, while peaceful, showed the strength of the labor movement. But 1947 also brought with it a Republican majority in both houses of Congress, some 250 anti-union bills, and the desire to undo the New Deal. The Taft-Hartley act passed by that Republican Majority was called by Labor leaders "a 'slave labor' bill and 28 Democratic members of Congress declared it a 'new guarantee of industrial slavery.'" One of the provisions of Taft-Hartley was the ability to create so-called "Right to work" laws. We are again facing an administration that will try to use the Department of Labor against those who labor for a living. Andrew Puzder, who until last Wednesday had been the President's pick for Secretary of Labor, had "nothing but contempt for everything the Labor Department stands for," according to AFSCME President Lee Saunders. However, Puzder withdrew after intense push back from Labor, Democrats, and others. This is a big win for workers, for with his second nomination, President Trump may have gotten the message. Alexander Acosta has had Labor-related experience as a member of the NLRB and "deserves serious consideration" according to the AFL-CIO. However, his appointment isn't without controversy. His tenure in the Justice department was known for blatant politicization, among other things. Just like in 1947, with a Republican majority in both houses, we're seeing a wave of anti-worker bills being put forward. 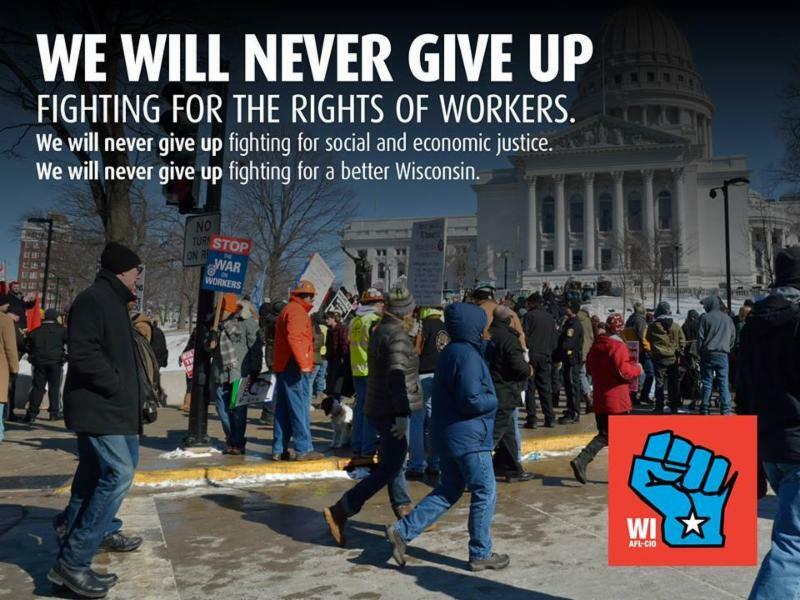 Bills against paying prevailing wage, bills to allow the firing of workers with pro-union sympathies, even a national "right to work" bill is being presented. All working people will have to stay active and get their voices heard as this president's nominees go through the process. This President will also be making appointments to the NLRB, where he's poised to put his people into positions of power on a board that ruled against him in the past! It's important to remind our elected politicians that the Department of Labor had been created to benefit workers and not to quietly accept unqualified or hyper-partisan people in leadership positions. Protesters have been showing up at Town Hall meetings, last week saw both a "Day Without Immigrants" planned for the 16th and another group calling for a "General Strike" for the 17th. We've seen that dogged, determined action can impact the decisions of those in Washington. 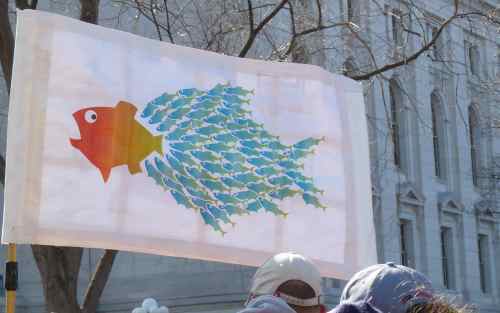 If the many groups agitating for a voice come together, great things may yet be accomplished. Tuesday, February 21st, voters go to the polls for several local races as well as for voting in the Superintendent of Schools primary. This race has already seen controversy, with questionable side deals and displays of poor judgment. Meanwhile, the Wisconsin Education Association Council recommends the incumbent Tony Evers for another term. Tentative Agreement Reached for Aspirus Riverview Hospital! We have a tentative agreement at Aspirus Riverview hospital. Members will be able to review a summary of the tentative agreement and will be voting on the contract soon. A big thank-you to the stewards on the bargaining team, Noreen Adams, Linda Sipe and Suzanne Berg for all their hard work! OPEIU now has a Facebook page for the community. For several years now, we've had a members-only Facebook page, but the Local recently added one for the public. We developed the public page to promote unions, our union in particular, and the positive aspects that unions bring to the workplace. Check out the link below. Our Executive Board is made up of Union members just like you. There are eight positions, with the terms expiring at different times so that we can have a mixture of new and experienced members at any one time. In November, four terms had expired and the Board put out the notice in the newsletter that nominations were open for any Member who would like to have a chance of contributing to the Executive Board. At that meeting, those who had been in the seats expressed interest in continuing in those roles. No other Member expressed an interest in joining the Board at that time. Given that there were no contested seats, the Board accepted the nomination of those present. (In last month's Newsletter, I had copied over text from the previous membership meeting which implied that the nominations were still open. I apologize for any confusion this may have caused and for the delay in getting the results to you). Please note, there is now one open seat. If you would like to add your voice to those making a difference in our Union, please contact the Union office.